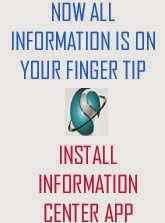 BREAKING NEWS SPECIAL: Rajiv Bajaj mocks global giant Harley-Davidson, calls its 250-500 cc bike ‘pipsqueak’! Rajiv Bajaj mocks global giant Harley-Davidson, calls its 250-500 cc bike ‘pipsqueak’! Taking a big business decision, American motorcycle manufacturer, Harley-Davidson announced a range of new models for the Indian market and the company now invests to bring in a new bike in the 250-500cc motorcycle range in the next 3-4 years. However, Indian bike maker Bajaj Auto does not see this as a big threat to its business in India and Rajiv Bajaj went ahead to say that a 250 cc Harley-Davidson bike will be insignificant here in India. Bajaj Auto posted 22% growth in its motorcycle business in the month of July 2018 by selling over 2.01 lakh units of motorcycles in the Indian domestic market. Bajaj also owns the KTM brand in India that has seen a good growth in India and has joined hands with British motorcycle manufacturer, Triumph Motorcycles to bring in mid-weight motorcycles in India. Harley-Davidson has also partnered with an Asian motorcycle manufacturer similar to Bajaj and looks like joint ventures are the way forward in the Indian automobile industry. Harley-Davidson has announced a new $275 million investment in the Asian market and believes that lower displacement bikes will help the company to revive growth in the company. Bajaj-KTM, TVS-BMW and now Harley Davidson teaming up and being bullish in the Indian market says that there is a lot of growth opportunity in the country. 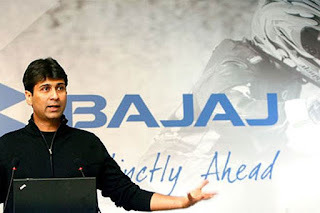 Rajiv Bajaj also said that Harley with a new partner is taking into the account the fact that Bajaj and Triumph Motorcycles are coming together and so for him its Bajaj that's setting the agenda for two-wheeler manufacturer across the world.